I was gone most of last week on vacation so I didn’t get to work on the case much but I got a lot done the last couple of days. 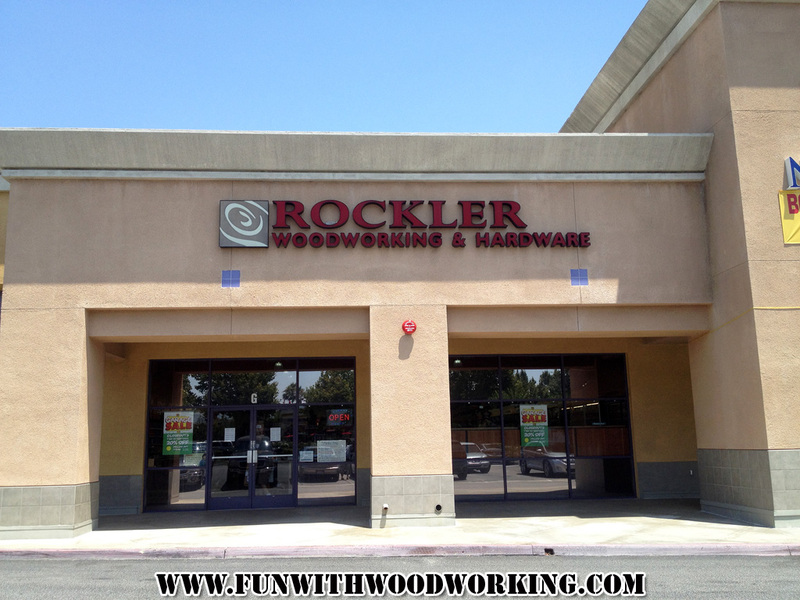 I stopped by Rockler and picked up 2 hinges, 2 clasps, and a handle for it. I go them all in bronze because that was the only color that I could find all the pieces in. I would have preferred the aged nickel but oh well. 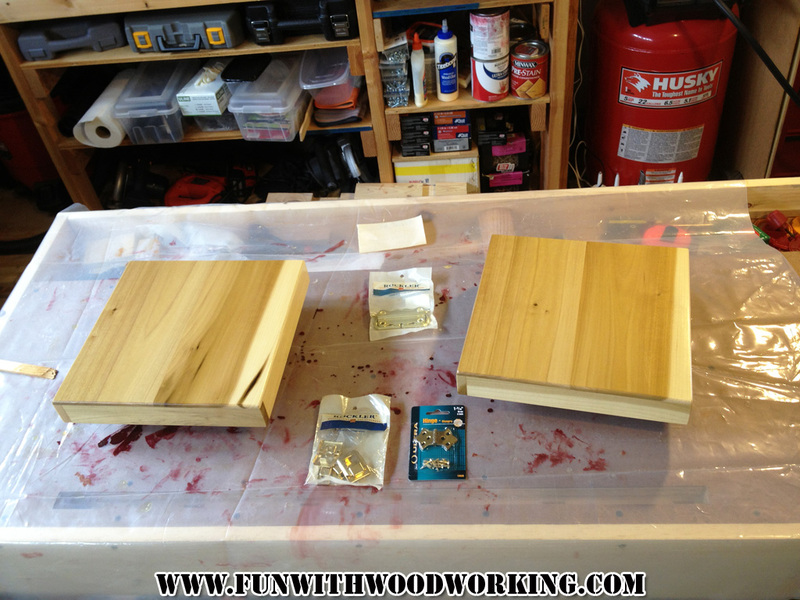 The outside of the case has 3 coats of Danish oil and now 2 coats of Polyurethane. 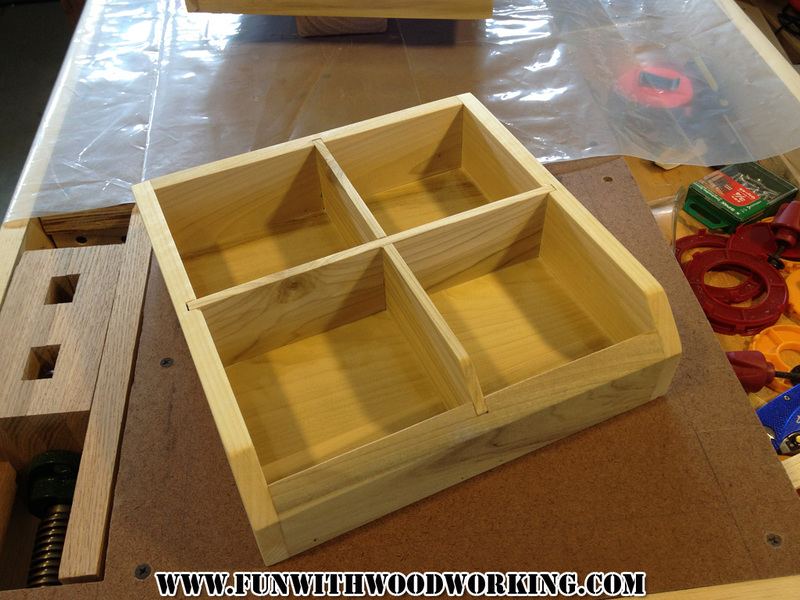 The inside tray has 2 coats of Danish oil that needs 1 more day of drying time. It will then get 2 coats of poly as well. I trimmed the Lego plates down to fit the inside of the case and have some self adhesive sheets of felt for the insides of the case and the bottom of the tray. Everything should be ready for my son’s party on Saturday. If all goes according to plan I should have a video out on Monday for the project.